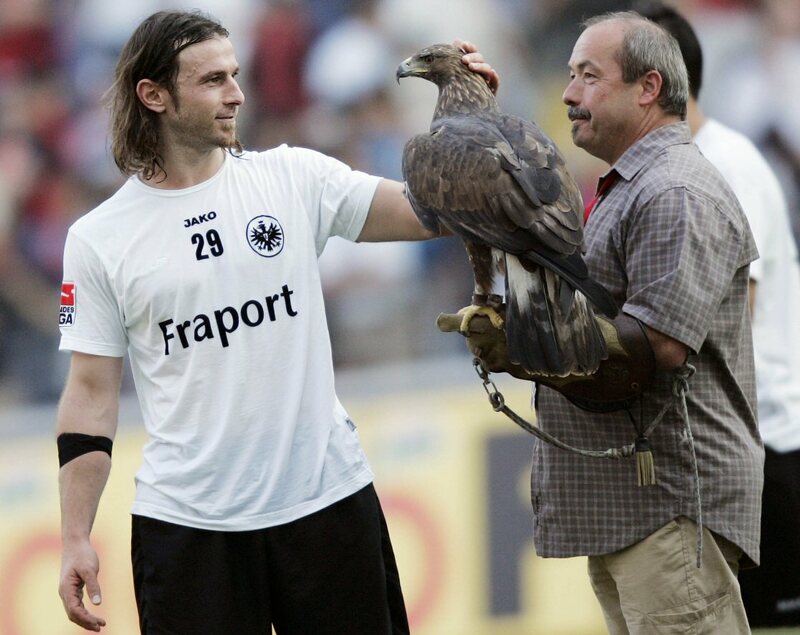 Teutonic Tuesday is in danger of becoming a weekly tribute to Bayern Munich’s seemingly unstoppable march towards the Bundesliga title, so for a bit of variation here is a picture of Eintracht Frankfurt’s Ioannis Amanatidis stroking their eagle mascot at the end of a 1-0 victory over Hansa Rostock. The victory puts them on seven points and in the pack chasing Bayern Munich (who thrashed Hannover 3-0, by the way). It’s just no use: we can’t help talking about Bayern. They are looking irresistable at the moment. We will look forward to them really testing themselves in Europe. In the meantime, it is not surprising that they dominate the league given that teams insist on fielding Teletubbies against them in defence. 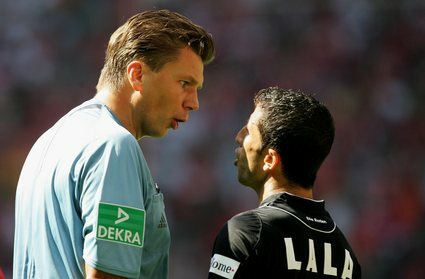 Say eh-oh to Hannover’s Altin Lala, who was sent-off in the match against Bayern Munich. Frankfurt didn’t beat Bremen but Rostock 1-0. Bremen actually won their match against Nuremberg 1-0.